And of course your dog’s ears perk up, his tail begins to wag, complete and total excitement has taken over their body. The same is often true of just reaching for your leash. My dog gets so excited when I reach for his leash that he often dives paws first onto me. We want the best for our dogs, but the amount of gear can get out of hand. If you’re anything like me, you have leashes for hiking, front clipping harnesses, a harness and leash for getting wet, not to mention poo bags, Frisbees, treats, dog sweaters, dog raincoat, and goggles. And having two dogs just multiplies the tangled mess. Well, it’s time we talk about how we manage all of these dog walking accessories. I really, really love this holder. One, the saying “never walk alone” is just so true because everything is better with your dog. Secondly, it’s got five hooks and a mason jar dog treat holder. 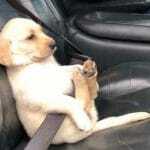 Even if you only have one dog, you can hook on your leash, harness, dog wipes, jacket, etc. This is technically a “coat” rack, but you’re going to find that with many of the pre-built leash holders. 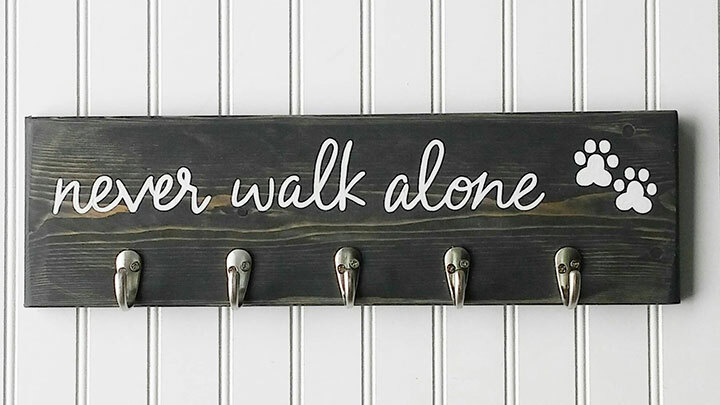 Again it’s got 5 hooks, is wall mounted and will actually look nice in your house. It’s also got a small shelf above the hooks where you can place a basket for keys, dog wipes, or whatever else you may need. 1. 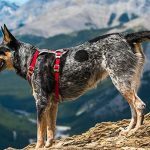 What do consider when choosing a leash rack? 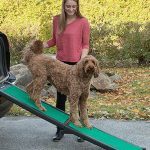 Note: For the purpose of this article “retail” will refer to retail leash holders and “custom” will refer to leash holders that are customized to your dog (typically via Etsy). If you have a small pup with a thin leash, you can probably get by with a leash rack that has key hooks. But if you have a dog with a heavier, thicker leash (especially if you keep a harness attached), you’ll want larger, heavier duty hooks. 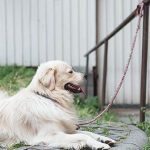 If you have a single dog home, you may not need many hooks—you can probably get by with two, but keep in mind there may be other walk accessories you want to hang, like your keys, your poo bags, or even an umbrella. If you have two or more dogs, I suggest a minimum of four hooks so you can hang more than just leashes (i.e. harnesses). You can easily multiply your hooks by getting two leash racks. 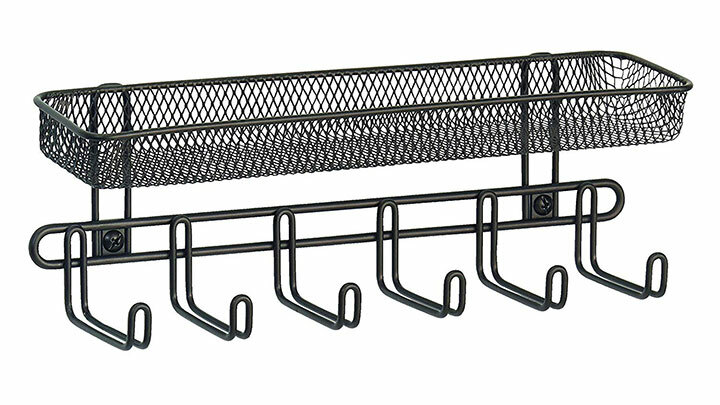 Storage is one of the most often overlooked options for a leash rack. 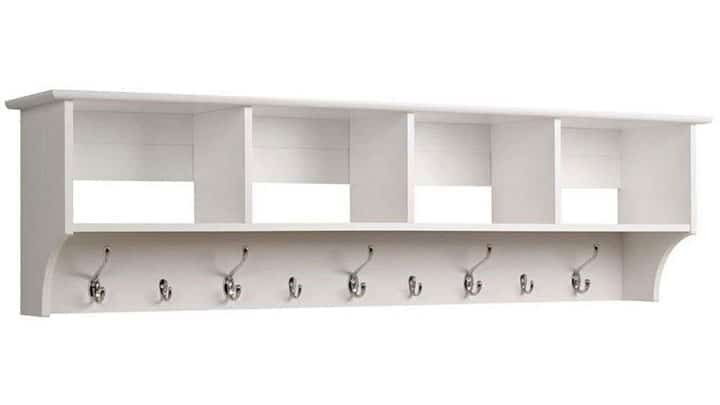 A lot of leash racks come with shelves. Shelves are amazing for having all your pup-stuff in one spot. I even keep my container of dog wipes nearby my leashes to help clean up muddy paw prints. If you want to bundle all your pup stuff in one convenient location, you can get a hall tree. This is a great option if you want to keep your raincoat or winter coat handy. I love that you can put baskets to stow away your dog’s off-season gear and toys under the hall tree, too. When you’re shopping for the perfect rack, make sure the mounting style will work for your dog’s needs and your housing requirements. If your lease says “no nails,” make sure the rack is mountable with Command Strips or something similar. If you have heavy gear, you’ll want to make sure you can screw or nail the rack to the wall. You may even want wall anchors. One of the best things about leash racks is that you can choose a style that fits your décor or you can even customize a rack. 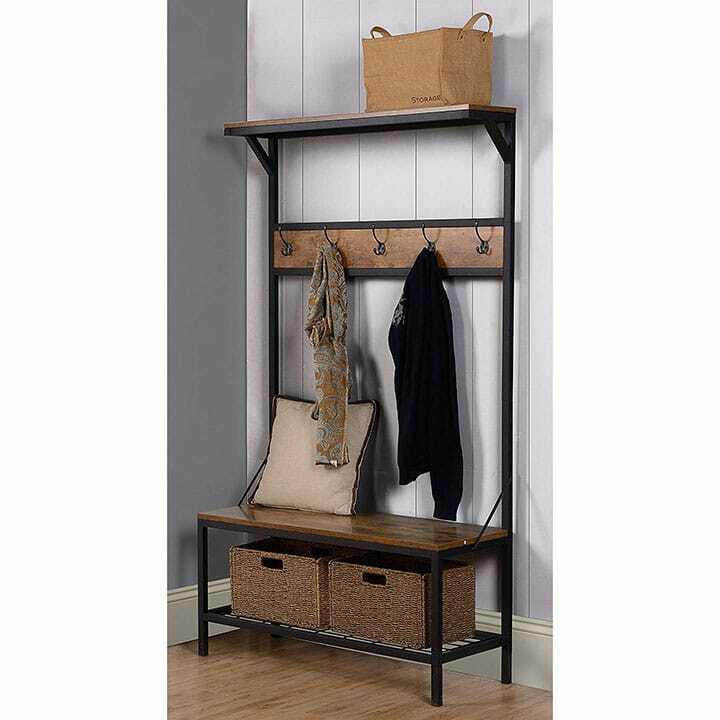 You can find industrial style racks, rustic racks, mode racks, and even country-chic racks. Note: In the tables below did not rank the leash holders (like we normally do) because the “best” one is mostly subjective, based on how many dogs you have, what style you prefer, etc. 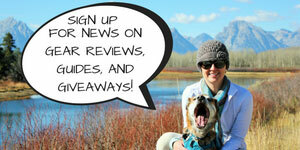 The above 6 leash holders from Etsy are just our favorites. You can find A LOT more here. 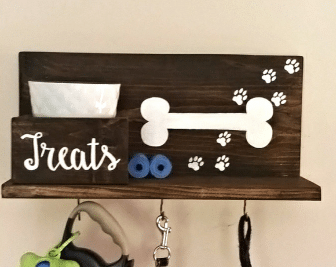 This rustic wood rack has everything you need in a leash organizer. This piece is sturdy and beautiful. Each of its hooks can hold up to ten pounds, so you don’t have to worry about hanging heavier items. 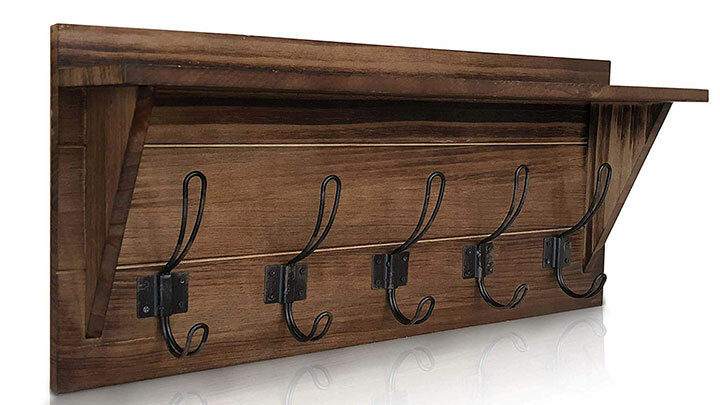 The beautiful wood comes in brown or white and the hooks can do double-duty since they have a top and bottom hook. And of course, the shelf provides great extra storage space for treats. 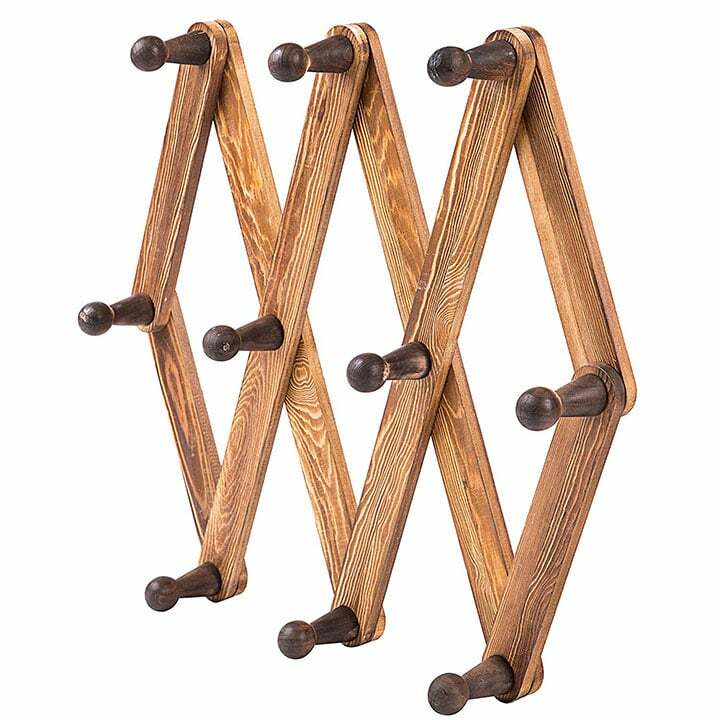 This bamboo leash rack is perfect to keep all of your dog’s accessories organized and handy. With four hooks, you can hang multiple leashes, your keys, an umbrella, even your waste bags. This organizer even comes fully assembled and with the mounting screws and anchors that you’ll need to hang it. The best part of all is that the compartment at the top can hold treats or your dog’s favorite ball or Frisbee. If you have a lot of leashes and not a lot of space, this leash organizer is perfect for you! 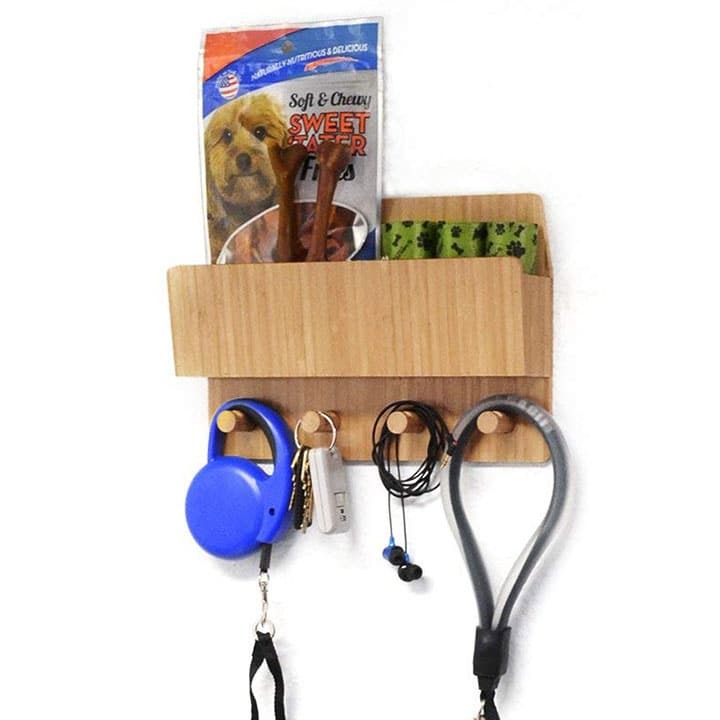 This leash rack has 6 hooks and a top basket for other walk accessories like waste bags, tennis balls, or treats. The hooks are large and sturdy enough for larger leashes or heavier items like umbrellas for harnesses. The mesh design also won’t collect dirt like other baskets might. 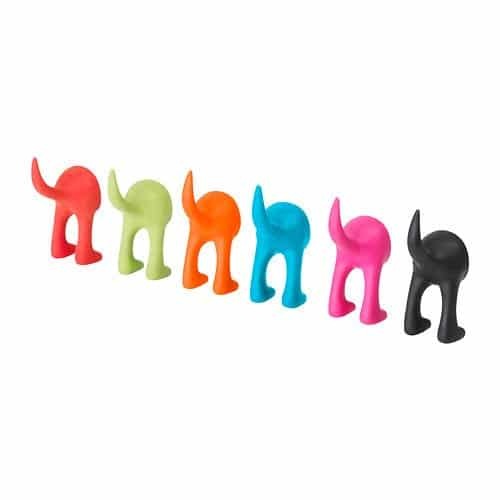 These colorful leash hooks will make you smile! 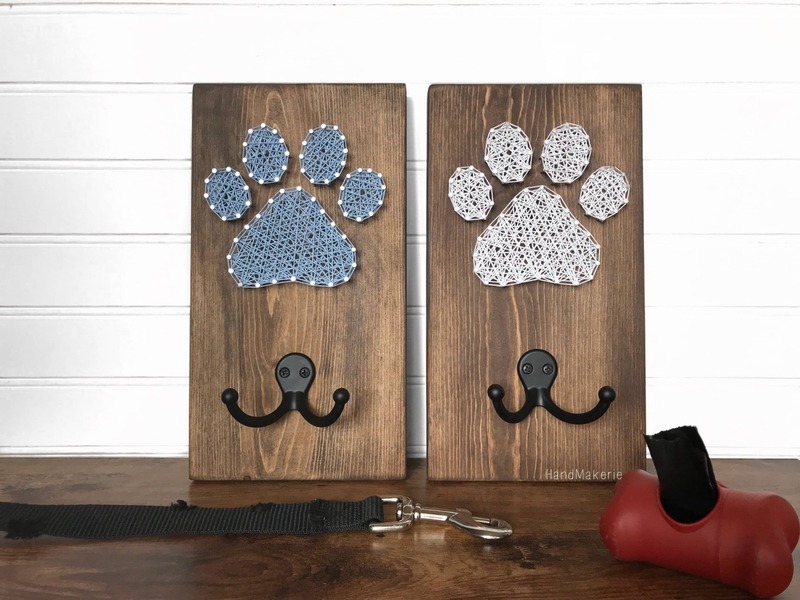 This 6 packs of leash hangers can be used to liven up your home by mounting them directly to your wall, or they can be used for a DIY project (see below). With six hooks, you can hang multiple leashes or your (or your dog’s) raincoat and umbrella. 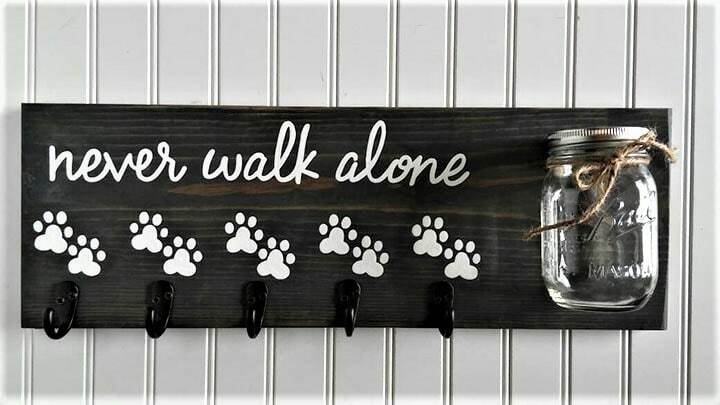 If you like to have your keys, umbrella, even a hat hung next to your dog’s leashes and other walk accessories, this leash organizer is a great option! It has two compartments to separate your dog’s gear from yours and it has three hooks for leashes and keys. The wire design doesn’t trap dirt or moisture. The Homestar Hall Tree is the ultimate dog gear storage solution! It comes with 5 double-duty hooks to hang coats, leashes, umbrellas—really anything you can think of. It also has three large shelves where you can tuck away baskets filled with off-season or bulky dog gear. And this option is very attractive. And with its metal frame construction, it’s sturdy, too. 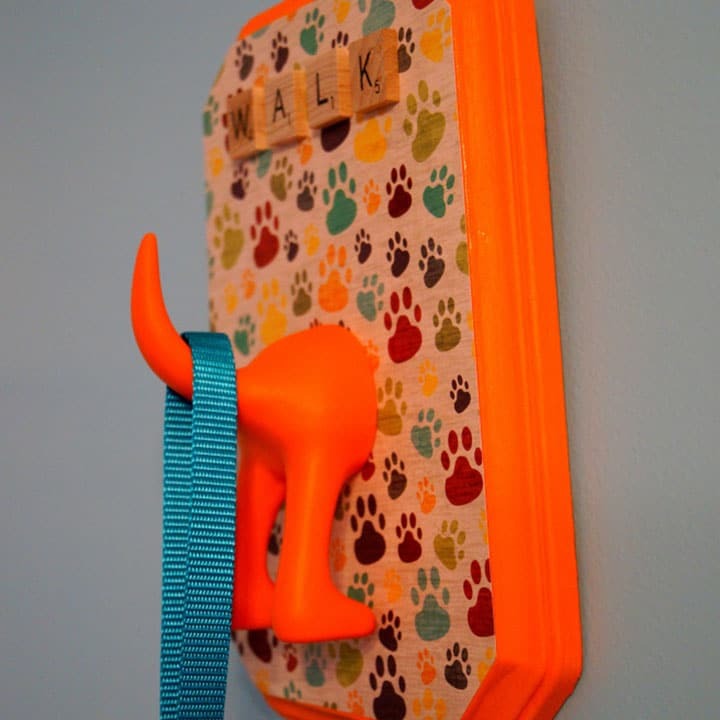 This cute leash rack will bring some personality to your organization. It has three hooks that are large enough for heavy leashes and installation is straightforward with just two screws. The powder-coated metal is durable and won’t rust and you can choose from three finishes: black, silver, or white. 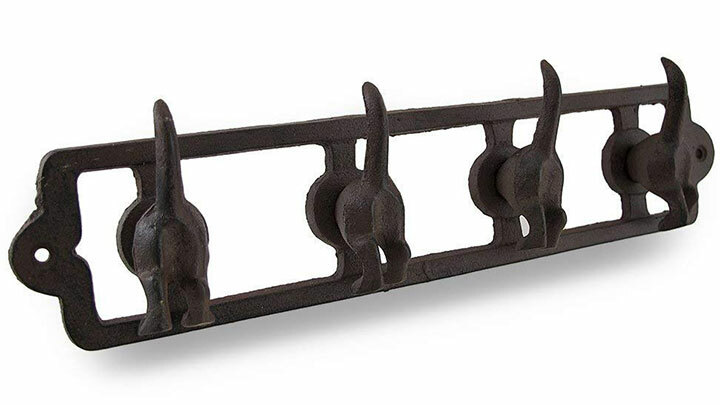 This cute, but rustic leash rack can handle extra weight. You can hang multiple leashes, retractable leashes, heavier harnesses, an umbrella, even a raincoat from this one. With the front drilled screws, it’s also easy to install! This entryway shelf may not have been built for organizing all of your dog’s gear, but it might as well have been! 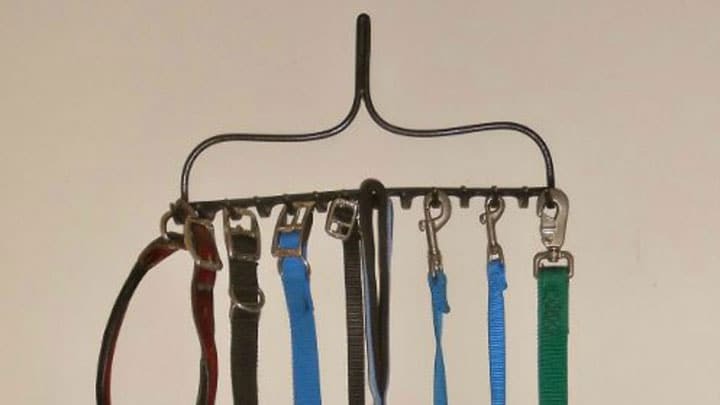 This leash storage system is amazing for dog owners who want to keep all of their dog’s stuff in one spot. You can choose a size and color that would work best for you. The largest option has five large hooks and five small hooks which is great if you have large and small leashes. It also has shelves that you can store treats, balls, or toys. You can even hide them away with baskets! I love this unique rack as an option for leashes. The style is very hip and attractive, and you can order multiple. It’s also versatile– you can hang it vertically or horizontally. It comes with hanging hardware and can hang up to ten leashes at once! 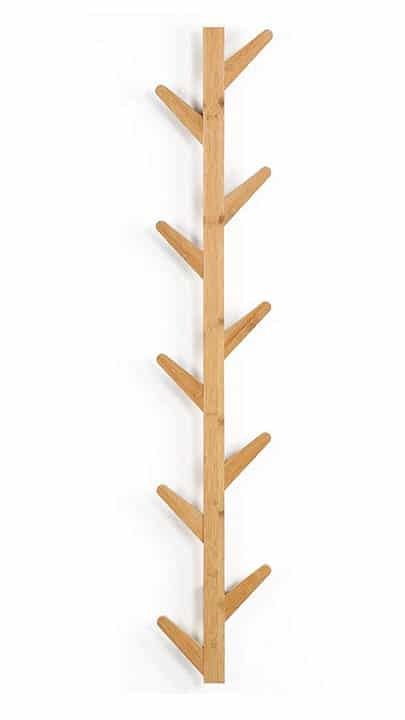 If you’re looking for something different, Langria’s Tree-Shaped rack is perfect for you! It has 10 detachable hooks so it can hang a lot of leashes. The bamboo makes this option eco-friendly. This one comes with all of its hardware and can be wiped down with water if you need to clean it. 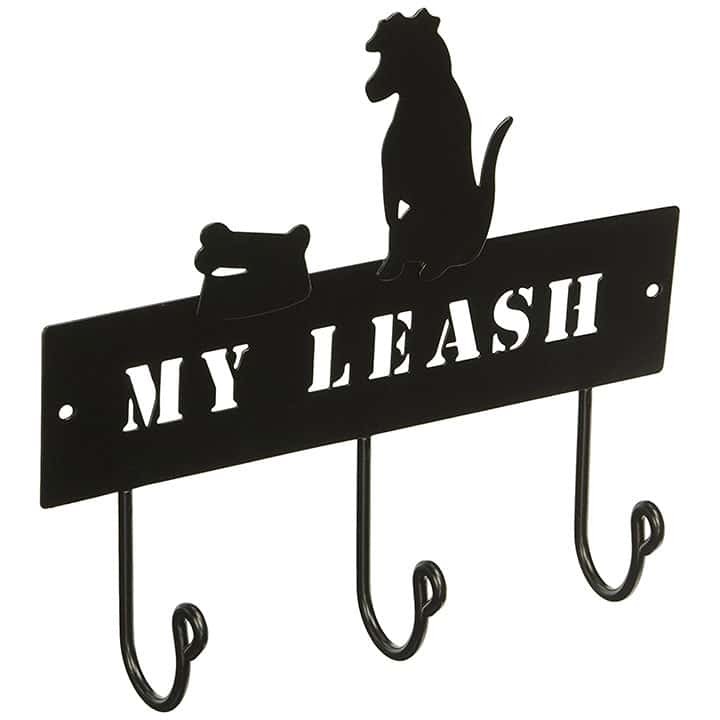 Leash racks are a great opportunity to customize your home for your needs. 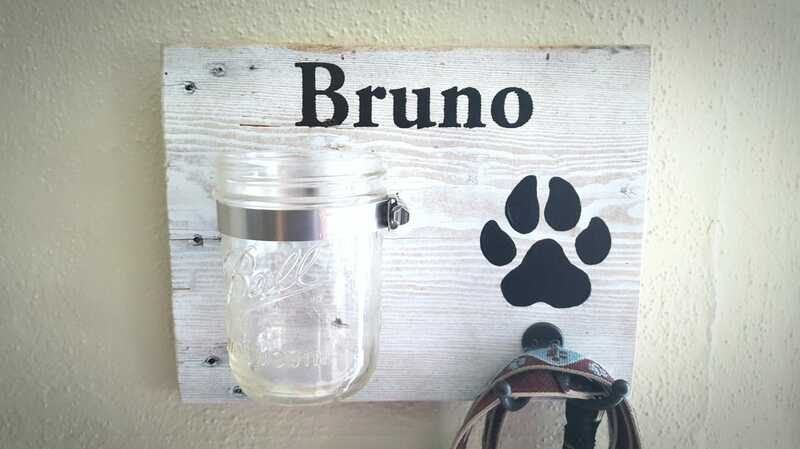 With DIY options, you can add as many hooks as you need and include your dog’s name or picture to celebrate your furry best friends! Below we’ve listed some of our favorites along with a link to the directions on how to DIY. You can buy this mounted storage shelf/rack here and then decorate it as you like. When organizing your pup’s stuff, you first want to get an inventory of all the gear you use regularly for walks. My rule of thumb is that if you’re going to use it twice per week on your walks, you want to have it near your leashes. 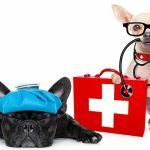 For example, during the winter you may want to keep your dog’s sweater hanging near his leash, but not necessarily his raincoat. Place more commonly used items on hooks and less often used items on the shelf. 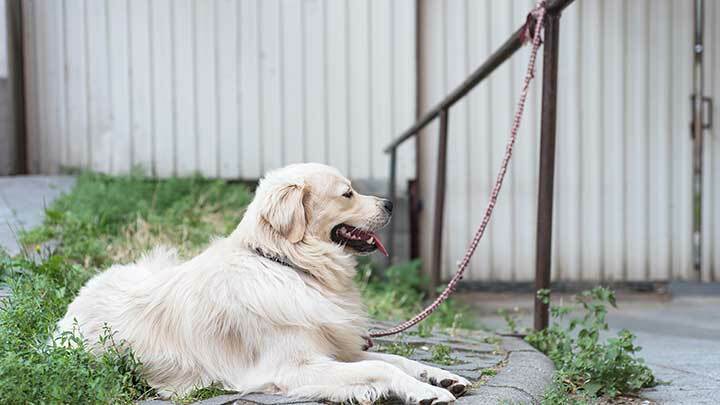 Being able to get your dog’s leash off the hook quickly is essential to making walk-time easy. 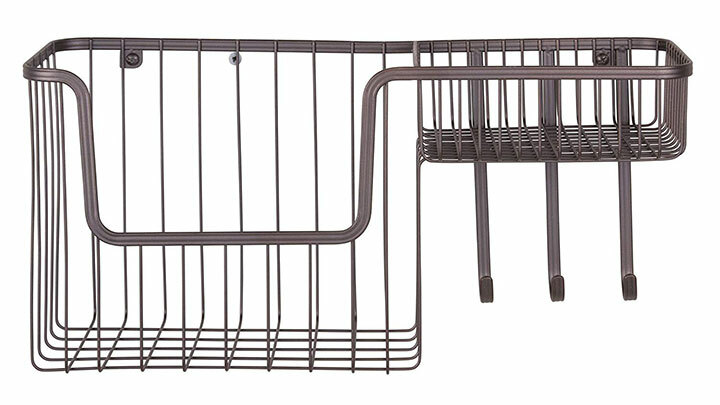 Most leash racks come with shelves where you can put baskets to hide anything you don’t want your guests to see. If the rack you like doesn’t come with a shelf, you can always use a hook to hang a basket. 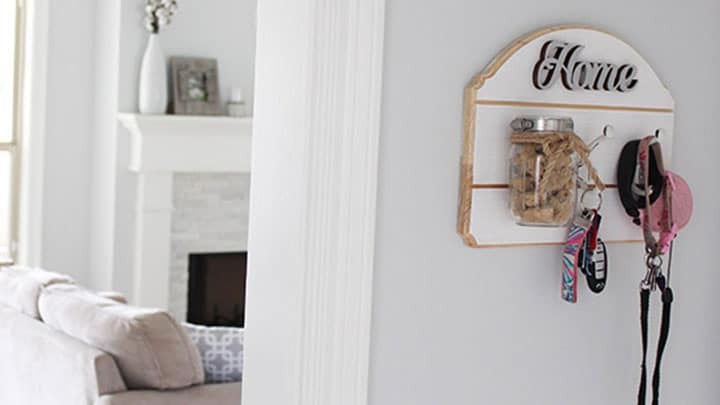 One fun DIY project to make a simple customized rack is to screw hooks into a picture frame. You can put a darling picture of your dog or your dog family in the frame, too. 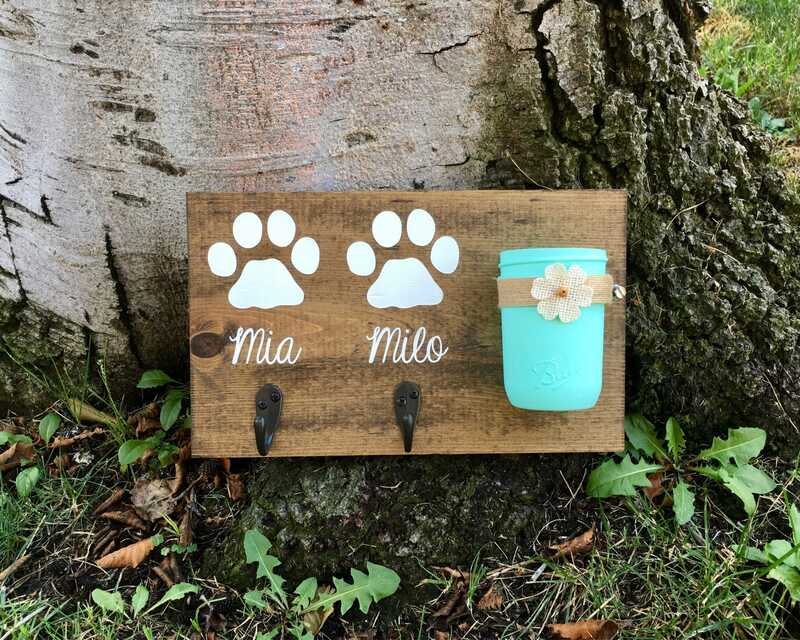 Or if you want to customize your DIY leash rack, use chalkboard paint so you can write your dog’s name or walk schedule. This is also a great idea if you have a dog walker because she can leave you notes about your pup!